OK. Since I took so many photos of the chio reindeers, I must post them up. But this will be the last post about it. Too much of a good thing is bad. 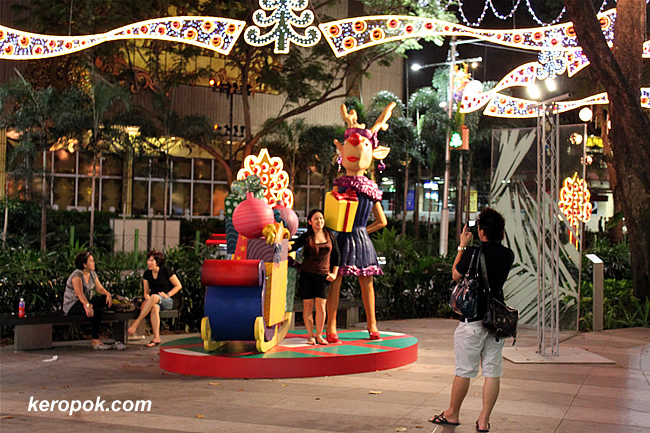 You can see so many people posing with the reindeers. Just like this couple. 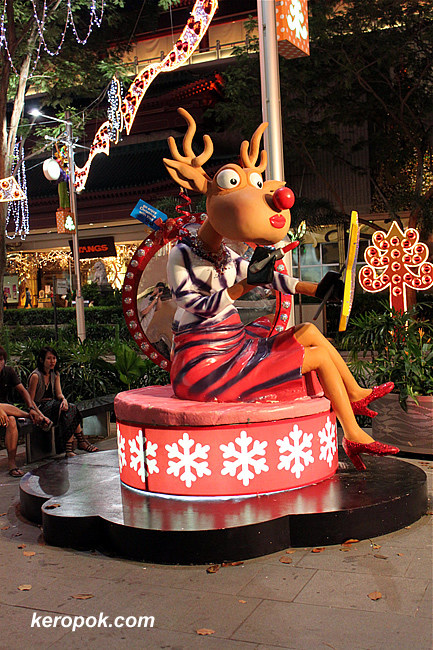 We saw some cheeky boys trying to look under the skirt of the reindeer. Sigh. So juvenile eh? Quite funny, the reindeers. I also enjoyed ur other posts on the pink n blue zone ... n the walk inside the Xmas tree. We just had St Maartens on Nov 11th. Kids with lanterns singing at the door. Went thru 8 kg of sweets in 2 hrs as treats for them. Dec 5th is St Nico (yep, he can be hired to come round n passed the gifts to the kids). Day after we put up the Xmas tree, send out the greeting cards .... n then a long wait for the glutton evening on 25th. It's a very homey event. I sure missed the buzz n partying in SG. you are one very chio lady yourself. hehe..
Come back to SG for Christmas! Am sure you will love to be back! 8 kg of sweets is a LOT!